Borderlinx | Buy Aldo and ship worldwide with Borderlinx. Cheap rates guaranteed. Experience footwear shopping like never before with Aldo USA. Calling upon over 40 years of experience, Aldo USA is proud to bring some of the most stylish and diverse footwear available to men and women. Whether you're looking for a pair of heels or dress shoes for a date-night, sleek footwear for work, or edgy boots to add a little excitement, Aldo USA products have something that will fit just about any occasion. Top it all off with Aldo USA accessories such as sunglasses, scarves, jewelry, bags and more you can create an all-around stylish look that's sure to make an impression. Aldo USA proudly provides shoes, sandals, boots, heels and more to help you stride confidently into any situation. With a tireless commitment to customer satisfaction, Aldo USA is there to help you every step of the way to find your perfect footwear. Many items are available for $150 or less, and store sales and discounts bring some styles as low as under $50. Aldo USA pieces are made from carefully-selected, eco-friendly materials, and the company also makes admirable efforts to decrease its carbon footprint, utilize green energy to power its facilities, and minimize as much landfill waste as possible. 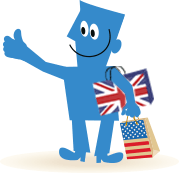 Thanks to Borderlinx, customers can now buy Aldo in the USA and ship internationally! With Borderlinx, you can determine cheap shipping, tax & duties upfront using our shipping cost calculator. Additionally, a number of services are available through Borderlinx to make international ordering from Aldo USA hassle-free, including concierge, free repacking and consolidation services.